Oberfield, Zachary (2017). 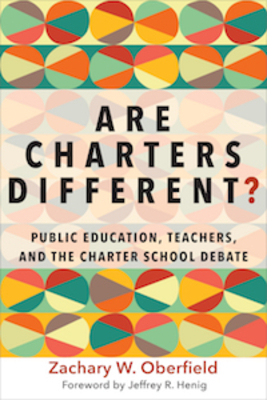 "Are Charters Different? Public Education, Teachers, and the Charter School Debate." Harvard Education Press.